For over 80 years Texas State Directory Press has been the premier source for information on state, county and city officials and staff in Texas. Through our authoritative print handbooks and guides, online directory, and downloadable mail lists we connect you to Texas Government. Need to contact members of the Senate or House? Locate an official at an agency, board, or commission? Find critical staff in cities and counties across the state? 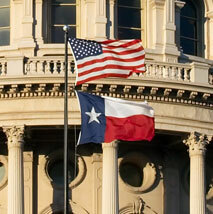 Subscribe to Texas Directory Online now and get them all, updated throughout the year. Now optimized for mobile access! The most comprehensive quick reference guide to the Texas legislature. Committee assignments, contact information and color photos of all legislators. Create a custom list of elected and appointed officials in Excel format. Choose from State, Legislative, Judicial, County and City offices with all contact information. The Texas Legislative Handbook is in stock. Orders placed online today will be shipped immediately upon receipt. Texas Directory Online is available today! Subscribe today for full access to the most up-to-date database of elected and appointed officials in Texas today.